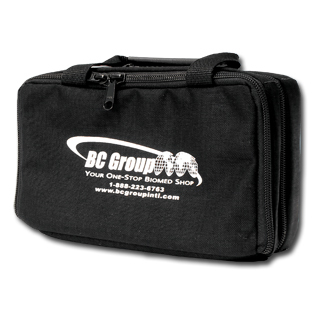 This is the BC20-30106 Small Soft Carrying Case. It features: dual compartments, black cordura material, padded sides and 1" thick carrying handles. The perfect size for those small valuable pieces of equipment. 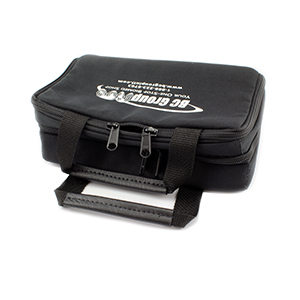 Dual, zippered compartments to keep manuals and equipment separate. Length: 9" ; Width: 5" ; Height: 3.5"
Length: 9" ; Width: 5" ; Height: 1.5"
Length: 9" ; Width: 5" ; Height: 1"